This gaulettes recipe, also known as gullets, is a favorite Christmas delicacy in many communities with Belgian ties. For children, no holiday was complete until one put in the requisite elbow grease to stir the remainder of the flour into the already impossibly stiff dough. The result? Heartwarmingly fragrant, chewy waffle cookies full of vanilla and heavy brown sugar notes. The gullets are best eaten as they grow chewier and more flavorful within the first three days. 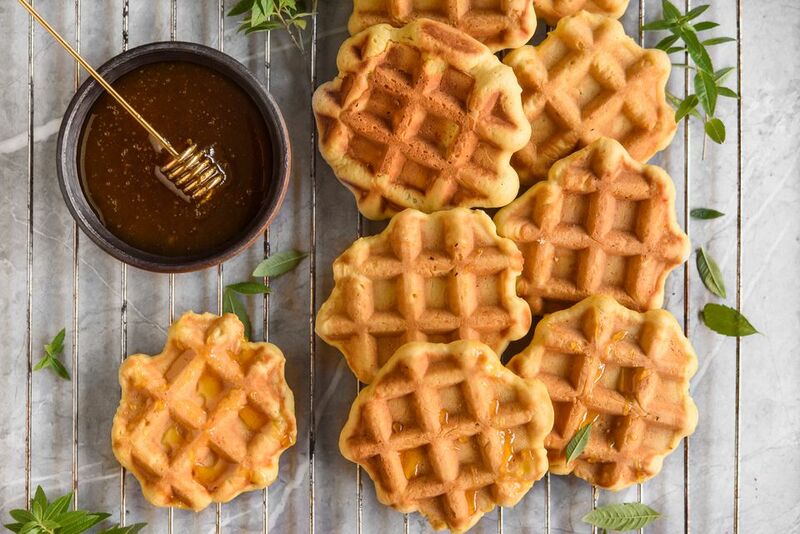 Cook's note: They look quite fancy, but no special equipment beyond a waffle iron is needed. A Belgian waffle iron, or gullet iron, can be used as well. Using a mixer on medium-high speed, cream the butter, brown sugar, eggs, and flavor extracts until the mixture is fluffy. Reduce the mixer speed and stir in the dry ingredients until the dough is completely mixed together. Preheat a French-Belgian waffle iron over medium heat. Place a 1-inch ball of dough into each section of the preheated iron and bake over the medium-heat burner for approximately 45 seconds on each side. The Gaulettes are done when they turn golden brown. Allow them to cool completely on a wire rack.